"I'll take away your tears, and stay with you for years"
"I will wash away your fears, and stay with you for years"
"It's loosely based on the first Stone Roses LP, but I set out to better it," said monkey boy. "I wanted to make this record in the classic style, if I could. The idea of having ten songs, proper songs, you know ? Good lyrics, good melodies. 'FEAR' has a similar beat to 'I Wanna Be Adored' and 'Shadow Of A Saint' at the end is kind of like 'I Am The Resurrection', the big build up at the end." Similarly, in 2009, Ian tiresomely namechecked Michael Jackson's seminal 1982 'Thriller' LP in association with his own release of that year, 'My Way'. Speaking to the NME on 21st July 2009, Ian states, "We mastered it on the day that Michael Jackson died too, so I'm taking that as a good omen", a comment which reeks of self-importance. Just to provide a little context here, 'Thriller' was the blockbuster behemoth in the era of blockbuster artists, breaking every record that existed. It sold more records than any other album in the history of the music industry. Michael Jackson set two Grammy Awards records in 1984: most wins by one person (8) and most wins for a single album (8). Ian Brown's assumed profundity has echoes of Doug Rocket's declaration in Nathan Barley that the recently deceased John Lennon had passed the torch to him through his floorboards. These delusions of grandeur appear all the more extreme when one considers that Ian's latest solo offering at the time of writing (2009's 'Just Like You') reached the dizzy heights of #137 in the UK singles charts. Place Ian's comment about Michael Jackson's death being a "good omen" for Music Of The Spheres alongside his odious description of how All Ablaze came about ("I wrote that song the day Pope John Paul II died..."), and you get the distinct impression that the singer imagines the turning of the earth to be conditioned by his solo career. Heck, he even places himself slap-bang in the middle of the Middle East crisis with his 2006 comments here. Factor in the singer's recollection that he has been known to "walk the earth like a god", and his belief that God comes and gives him "a big squeeze" when he is on the Peyote, and you have quite the cosmic self-projection. 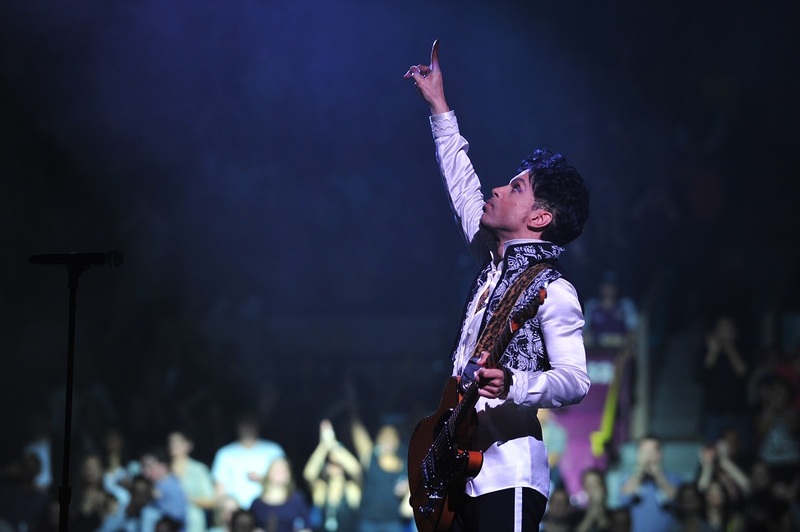 The development of this hubris is evident as early as 1988, in the singer's delusional claim that "You can make yourself everlasting by making records, you can leave a document." As a sidenote, I have grown rather tired of hearing figures in music and elsewhere wax lyrical about how 9/11 has impacted upon their oeuvre henceforth: "I thought after 9/11, the only thing that you could write were love songs and the state of the world." 3,000 lives lost (and tens of thousands of deadly terror attacks since) at the hands of a militant Islamist organization. Islamic jihadists invoking core texts and teachings of Islam to justify violence and supremacism. Why don't you write about that ? Religion of peace my foot ! Without wishing to plunder the Nathan Barley field, I am very much sensing a "The day the world changed, yeah ?" vibe in this Manchester Online extract. Most laughably, on the eve of the 11th anniversary of 9/11, Danny Dyer felt compelled to tweet, "Can't believe it's been nearly 11 years since them slags smashed into the twin towers it still freaks my nut out to this day." The passing of the world's premier entertainer in June 2009 saw no shortage of delusional candidates eager to step into his shoes. Kanye West's ego expanded beyond all proportion, telling Scrape TV in 2009, "You know everyone loves and respects Michael but times change. It's so sad to see Michael gone but it makes a path for a new King of Pop and I'm willing to take that on. There's nobody who can match me in sales and in respect so it only makes sense for me to take over Michael's crown and become the new King. First there was Elvis, then there was Michael, now in the 21st century it's Kanye's time to rule. I am the new King of Pop." See also Cheryl Cole's wholesale appropriation of Michael Jackson's This Is It stageshow at the launch of her own solo career. This self-congratulatory circus even extended to lamentation by Will.i.am in January 2011 that the late Michael Jackson missed the opportunity to duet with Cheryl Cole. "Michael was excited about everything I told him about Cheryl. It could have been one of the great collaborations of recent history." If Michael Jackson's pop throne ever did require an heir, none of the aforementioned charlatans would get a look in. Rather, I would advise giving a call to someone who shares the same birth year as the king and queen of pop, Prince. In terms of magnitude, Ian Brown ranks quite some distance below the Eighties triumvirate of Michael Jackson, Madonna and Prince; if the singer is sitting by the telephone waiting for the call to perform at the Super Bowl, he is in for a very long wait indeed. In June 2009, Ian had his own equivalent of Ringo's 'fanmail rant' the year before. Speaking to Japanese radio station NHK, Ian stated that he won't be signing any more autographs for fans. "I don't see the point to be honest. I am just writing my own name on bits of paper for people. They don't need that. I won't be signing anything anymore. If people want to appreciate me, that's all well and good. But they can do so through the music. Not by looking at my name on a piece of paper. Posing for photos also does my head in. I'll be limiting that from now on." I personally find such diva-esque delusions of grandeur from Ringo and Ian to be cringeworthy. If they do not wish to engage with fans via these traditional methods, the wording and delivery of their respective requests could at least have been made with a little more tact. Ringo's strop via his YouTube channel ("I have too much to do. No more fanmail") has all the technical qualities of a terrorist threat recording, whilst Ian's man-of-the-people persona takes a hit with the revelation that standing with fans for a photo "does my head in". These churlish demands from Ian seem a touch hypocritical when viewed in the light of his interview with Sport.co.uk, three months later, in September 2009. In this feature, he is heavily critical of Manchester United goalkeeper Peter Schmeichel for his refusal to sign an autograph: "Met him on a plane once - bigheaded tw*t. A little kid asked him for his autograph and he refused. The little kid was in tears, he asked him three times. He said, 'No, go away.' He was being a tw*t. I got his autograph a few minutes before that from Mani, and then I seen this little kid ask him and he said, 'No, go away.' 'Please, Peter.' 'No, I told you, go away.' I know he's a great United hero but for me he's a bighead. I'll never forget that little kid - he had tears in his eyes. There was no need. He could have made that kid's day, but he didn't, he broke his heart. I'll never forgive him for that." In the same feature, Ian is asked to choose his favourite Manchester United players: "Giggs is my favourite player of all time. Represented United man and boy, never heard any bad stories about him. * Super pro, playing better than ever. I've met him three times. I met him with my kids when he could have told us to go away - he was looking for furniture - but he stood and posed for photographs with them. Top player." In Ian's indignant refusal to sign any more autographs ("I won't be signing anything anymore"), one can only hope that exception is made for the younger members of his fanbase, in order to avoid any repeat of the Peter Schmeichel ordeal detailed above. 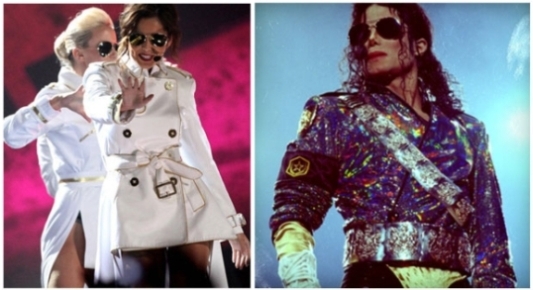 Cheryl Cole appeared to have raided Michael Jackson's wardrobe for her 2010 Brit Awards performance of 'Fight for This Love.' Her dramatic entrance - being 'shot' up in the air from the stage floor - was a stunt straight out of Jackson's Staples Center This Is It rehearsals a year earlier. 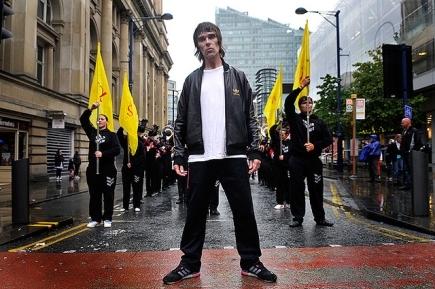 Meanwhile, Ian Brown's Stellify video, in which the singer is backed by a marching band with a series of banners and pendants formed around the Greek alphabet, transposes Jackson's 'They Don't Care About Us' parade from Rio de Janeiro to the streets of Manchester. * Ian might wish to reassess this perception in light of the spate of revelations of 2011.